Congratulations to Year 2, 98% and home to Barney Bear for a week! Well done to us, 95% can we raise our attendence this week? Very well done to Joel and Nivan! These creative boys wrote the most imginative stories, filled with expanded noun phrases. A joy for the class to read. Welcome to back to our final half term together! 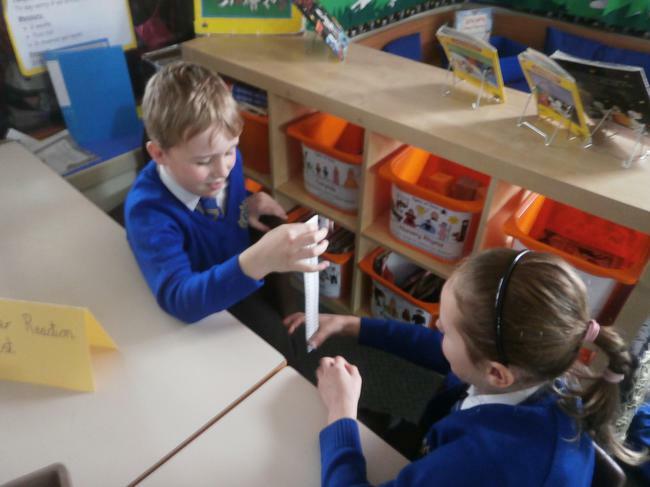 Mrs Outram will lead the children in an exciting exploration in the world of gravity, force and friction! 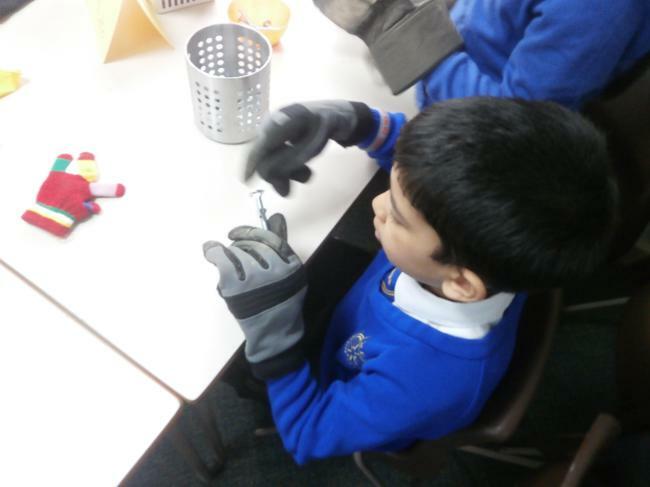 Space Week began in Year 3 by training to be an astronaut. We tested our hand-eye co-ordination, dexterity and agility. 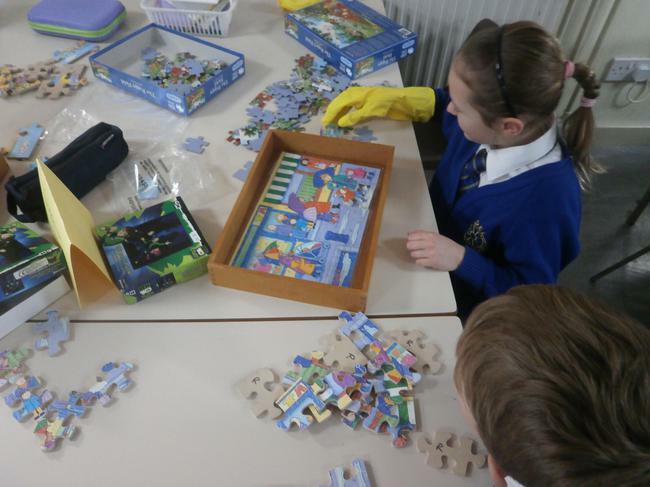 The challenges were tricky but great fun! 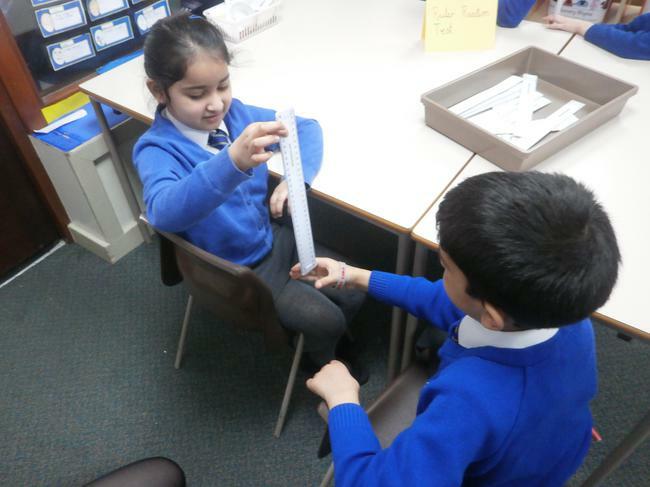 We have enjoyed writing Instructions. We love imperative verbs and can become quite bossy at times! Our Reading focus is 'Funnybones' which is also reflected in our new Reading Area. 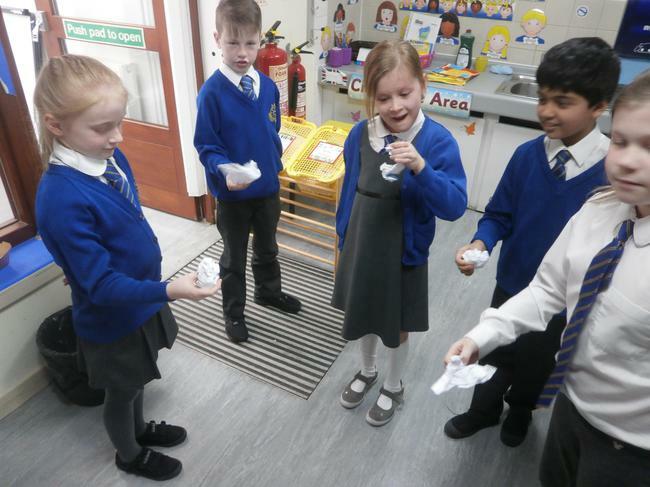 We enjoyed a very busy DT lesson when we made our own moving Funnybones. Whilst we were making the skeletons we wrote our Instructions. As part of our Investors in Pupils challenges, we invited Billy Flynn into our classroom to answer lots of questions. He said that he would answer anything we wanted to ask! 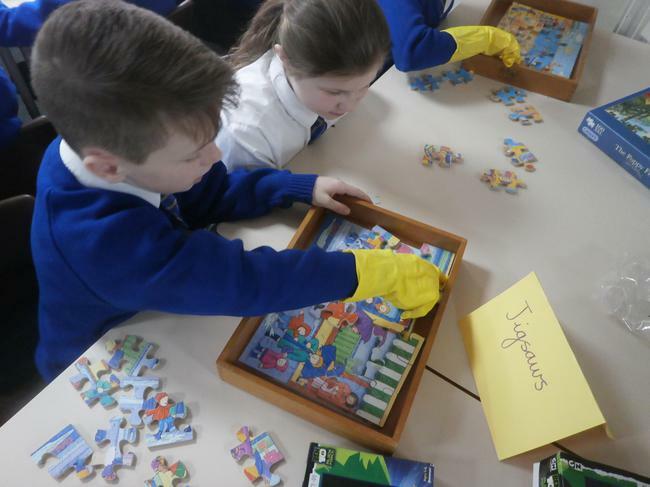 Our History focus is The Romans and our groups are named after Roman Gods. The children are enjoying exploring a variety of Myths & Legends. On 18th May we are looking forward to a performance from the Blah Blah Blah Theatre Company. A Tale to Tell celebrates the rich world of Arabic storytelling, blending spoken English and Arabic with exciting shadow play. This event has been funded entirely by school. We have had lots of fun directing our friends and teachers around the school. We also found other exciting ways to learn direction and movement. We have explored and created our own Calligrams. This is a link to a website which we really enjoyed!